We had some fun making these clips, they are not intended as instructional videos or specific to a particular martial art. 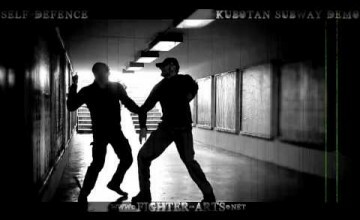 You can notice influence of styles like silat and kung fu. If you are interested in learning some techniques our advice is to study and practice hard the styles you like the most. Marco would also like to thank Master Marco Guarneri, founder of Lao Long Dao. If you would like to learn Vietnamese Kung Fu please contact SuTo Marco Guarneri, he’s definitely one of the best Masters you can find. Amnon Aloni, Israeli Master of Karate and Krav Maga, shows a couple of techniques of self-defence with empty hands and with the use of kubotan. Fighter-Arts would like to thank Amnon Aloni.